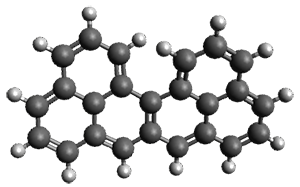 Uthrene 1 is the smallest formally diradical fragment of graphene; it cannot be expressed in a closed shell, fully electron-paired Kekule form. 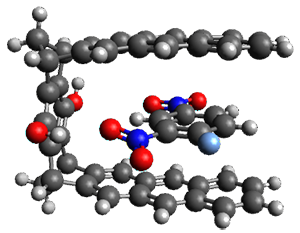 Its isomer zethrene 2 on the other hand, can be expressed in closed shell form. 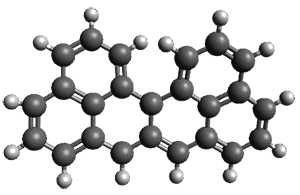 Melle-Franco has examined these, and related, polycyclic aromatic hydrocarbons with DFT.1 The optimized structure of singlet and triplet 1 at CAM-B3LYP/6-31g(d,p) are shown in Figure 1. The singlet-triplet energy gap of 2 is 16.5 kcal mol-1 with a ground state singlet. However, for 1 the triplet is predicted to be lower in energy than the singlet by 7.7 kcal mol-1. And this gap increases to 10.9 kcal mol-1 at CASSCF(14,14)/6-31g(d,p)//CAM-B3LYP/6-31g(d,p). 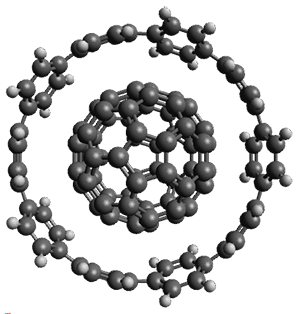 Natural orbital population analysis of the singlet of 1 at CASSCF identifies two orbitals with populations around 1 e.
Figure 1. CAM-B3LYP/6-31g(d,p) optimized geometries of the singlet and triplet of 1. 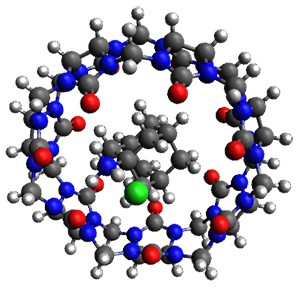 (1) Melle-Franco, M. "Uthrene, a radically new molecule?," Chem. Commun. 2015, 51, 5387-5390, DOI: 10.1039/C5CC01276G.